Gazing at the night skies in Chile has become even more spectacular with the opening of a new observatory, says Michelle Jana Chan. It is said that the Incas did not focus on the stars at night. Instead of pointing out twinkling celestial bodies and joining up the dots to make constellations, they found meaning in the dark patches of the night sky. For them, a pool of blackness immediately below the Southern Cross was the head of a snake; a dark wavy serpentine tail coursed through what we call the Milky Way. Even more powerful were the black patches representing a mother llama with a baby; the mother’s eyes – the only bright part of the image – are the stars Alpha and Beta Centauri. 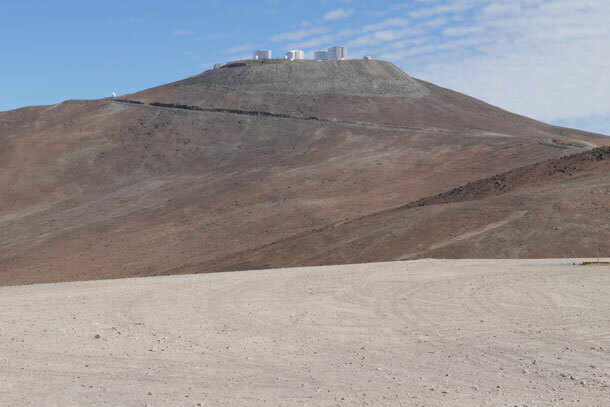 Nearly a thousand years later, Alma – which stands for the Atacama Large Millimeter/submillimeter Array, but also means “soul” in Spanish – is also looking into the darkest recesses of the universe. This telescope, which was inaugurated on March 13 this year, is not pointing at stars but at the clouds of dust and gas in between where it detects faint radio signals and gathers data about the birth and evolution of planets and stars. With its high-altitude plateaus, clear skies and low humidity, Chile is the ideal place for astronomy; as well as Alma, it has most of the world’s most powerful ground-based observatories. Chile even has laws against excessive light pollution “to preserve our darkness, our national heritage”, as one guide explained. It is a joy to look up at the night skies here, even with only a naked eye. I barely had enough wishes to keep up with the number of shooting stars I saw. Even close to the horizon, constellations are clearly defined. The Milky Way is so bright that during a new moon it can cast a shadow. Farther north the Elqui Valley is home to the oldest astronomical centre in the southern hemisphere: the Cerro Tololo Observatory, founded in 1965. It is open to the public only during the day, so visitors may come and see the instruments but not the staff at work. To travel halfway around the world to look at some big machines may sound extreme or extravagant, but it is not only geeks who will wonder at the design and engineering feats here. Astronomers at Tololo are using one of the world’s most powerful sky-mapping cameras to locate thousands of supernovae and tens of millions of galaxies; every night the supercomputers must store 30 terabytes (30 trillion bytes) of imagery. The mind boggles. Other astronomical tourist attractions in the Elqui Valley are open at night. At Mamalluca Observatory, visitors can look through optical telescopes to see nebulae and clusters, such as the well-named “Jewel Box” of about 100 red, blue and white stars. The less elegantly named NGC 5139 contains millions of stars, and is the brightest and biggest known cluster in our galaxy. Through a telescope its immeasurability resembled a dandelion puff. 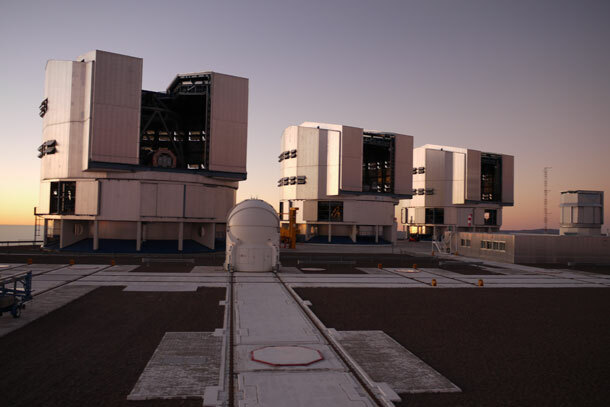 Even farther north, Paranal is home to the Very Large Telescope Project operated by the European Southern Observatory. Again the public can visit only by day. They will see four huge telescopes as well as the award-winning architecture of the Residence, a subterranean space where scientists live and work. The domed interior is filled with tropical plants to rehydrate the workers living in this dry climate and at this high altitude. The site here was “blown up” in the film Quantum of Solace, but it’s even more impressive intact. 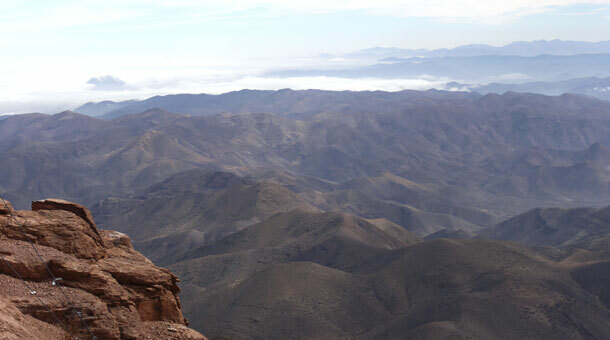 Excitement has recently transferred to Alma, high on the Chajnantor plateau in the heart of the Atacama Desert. 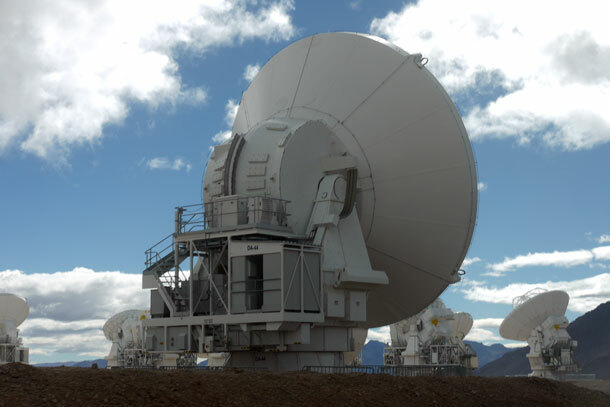 At 16,500ft above sea level, 66 high-precision antennas, which resemble dishes, come together to act as a single telescope. Their high resolution and sensitivity allows scientists to search the very edges of our known universe shortly after the Big Bang. Opening hours may change depending on the season. A great primer for both amateur astronomers and casual stargazers. Tours can be in English and include snacks, wine and transport from and to your hotel (the observatory is 45 minutes’ drive from the centre). Mondays, Fridays and Saturdays (8pm in winter; 9pm in summer; £82 per person). An hour’s drive from the town of La Serena, this is one of Chile’s oldest observatories and has eight telescopes and a radio telescope. Guided tours in English last two hours and are free. Close by is the Gemini observatory, which does not offer scheduled public tours but can accommodate teachers or students working in astronomy. Outside Vicuña town, guided tours In English begin after dark with the aid of the site’s 11 telescopes (with two new telescopes arriving at the end of the year). Tours are offered year-round starting at 8pm in winter and 9pm in summer; £6 per person. South of the city of Antofagasta, 8,250ft above sea level, this is the site of the Very Large Telescope Project, one of the world’s most important optical telescopes and centres of astronomical research. Visits are on the last two Saturdays of each month and free of charge. 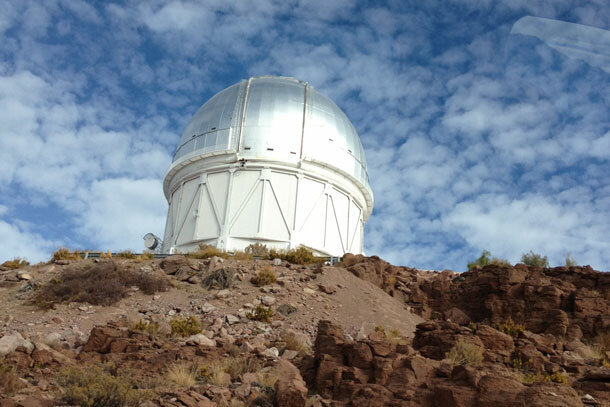 There are observatories at some hotels in San Pedro de Atacama, including the Explora property. Its guide, Oscar Moya, can point out Jupiter and its moons, Saturn and its rings, and the magical swirls of the Orion Nebula, one of the Hubble Telescope’s favourite subjects. Costing more than US $1 billion, this telescope – a joint venture involving Europe, North America and East Asia in cooperation with the Republic of Chile – is a short drive from San Pedro de Atacama. It can be seen from various vantage points in the region. The site will officially open to the public early in 2014. Late summer (March and April) and early autumn (October and November) usually have the clearest skies and fewest tourists. Avoid visiting during the full moon in order to see the most stars. Michelle Jana Chan travelled with Audley Travel (www.audley.co.uk).